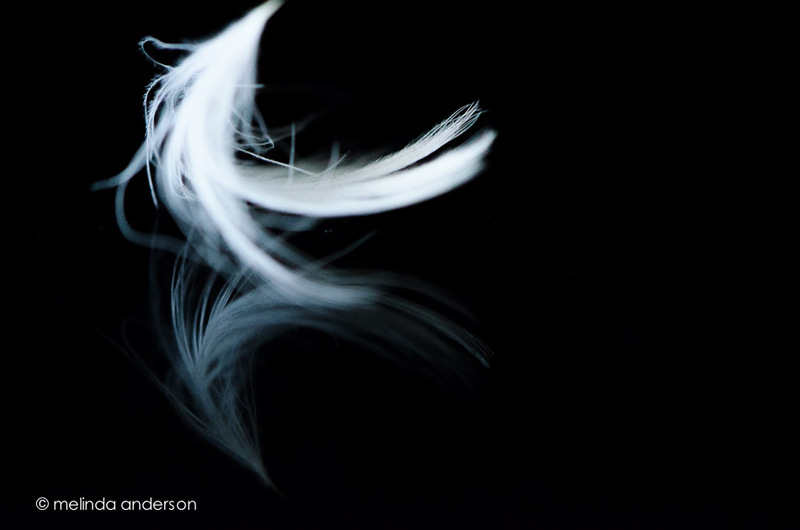 I sat outside waiting for my fine-feathered friends to fly in for a photoshoot today, because today the theme is, indeed, feather. 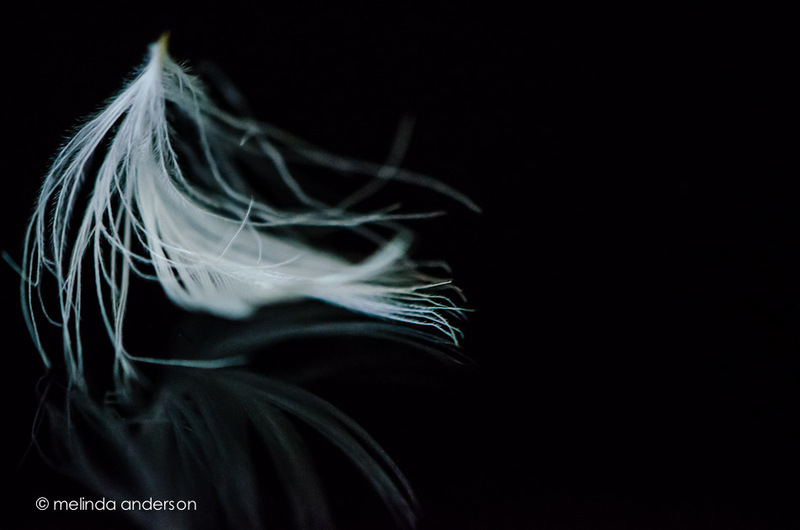 I finally gave up, and came in for lunch, only to find on the floor a tiny feather which had worked its way out of a couch cushion. I set it on the cabinet by the open (for natural light) front door, but the breeze caused it to dance and skitter around on the surface. 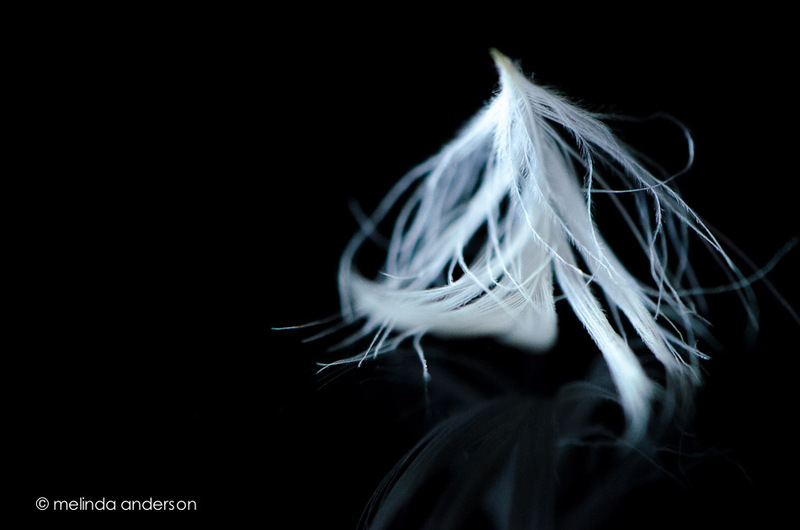 I managed to capture these images of the dancing feather with my trusty macro lens. This entry was posted on June 29, 2012 by Melinda. It was filed under macro . Sensational!!!! I love these and the reflections are wonderful. Beautiful shots.